In the current climate, the volume of people renting property in this area is far higher than those that are buying. Once you have decided that you want to rent a property, it is important to research the market thoroughly. 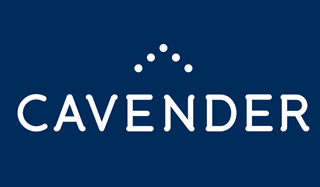 We always recommend you rent through a regulated agent such as Cavender who is ARLA Property Mark registered, meaning you will deal with knowledgeable staff who follow a strict code of conduct. The internet can be an invaluable tool in your search for a property. Have a look online to find agents who are advertising properties in your desired areas. Most agents’ websites are updated on a daily basis so you should have an up to date selection of properties to consider. It is always a good idea to ask friends, family or colleagues living in your area of choice for recommendations of the agent that they may have used. Research the agents that you have found. In many areas there are local independent agents, who may be relatively small but have been trading for a number of years. Longevity is a good indication of the service that you will receive and also their knowledge of the area. Often the quality of service received can be affected when dealing with large corporate companies, who may operate centralised services and lose the personalised service. Ensure the agents you choose are members of ARLA Property Mark and the Property Ombudsman. These companies follow strict codes of practice and have trained staff who adhere to professional and ethical standards. Once you have a shortlist of potential agents, call their office and get a feel for what they are like on both a professional and personal level. It is important to understand from the agent what costs you will incur when renting a property through them. Fees may be levied to cover tenancy agreements, administration charges, credit reference fees and inventory costs. All agents costs vary and you should be informed of all fees to avoid unpleasant surprises of hidden charges. Where do you ideally want to live? Do you want or need a garden/ outside space/balcony? Do you need to be near a train station? Do you need to be near a gym or shopping centre? Be guided by the agent’s knowledge of the area. You might be surprised once you start viewing what is out there and where. Rental amounts can vary depending on the time of year. Bear in mind that the busiest period is normally from early spring through to late autumn, so you need to be prepared that you may have to be decisive during these busier periods and be prepared to pay a higher rent than in the quieter periods. Whilst many properties can be available up to two months ahead, lettings is an industry with a very quick turnaround, so you need to act quickly to ensure that you don’t miss out. Keep an open mind, and don’t be deterred before viewing a property. When there is more than one person renting, it is advisable that you all view the property together, rather than going back and forth to visit the property. Once you have viewed your shortlisted properties, provide your agent with as much feedback as you can. If you have viewed something that is not what you want, let them know. Detail exactly your likes and dislikes, they can then find you something more suitable next time which will save you wasted journeys and precious time. First impressions really do count and most landlords ask their agents for feedback on what the prospective tenants are like. You may choose the property in which you live, but the landlord has the final say on which tenant will live in their property. Check to see if the property has been well maintained both externally and internally. Check that the carpets and walls are in good condition, and also ensure that the storage space is adequate for you. If you have any items of large furniture, bring the measurements with you, and take a tape measure along on viewings to ensure it will fit in the rooms. Most importantly, do not forget to measure the entrances; you need to get the furniture into the property. All properties will have an EPC (Energy Performance Certificate), which will give you an insight into the cost of your utility bills. Are there adequate electrical sockets for your requirements? If allowed, run the taps / bath / shower and flush the toilet. Are they all working? Is the water pressure sufficient for your needs? If you have any requests in relation to the property, discuss them with your agent so they can ask the landlord if these are possible? Whilst many landlords can offer flexibility, try not to be too demanding early on as you might put them off renting their property to you. 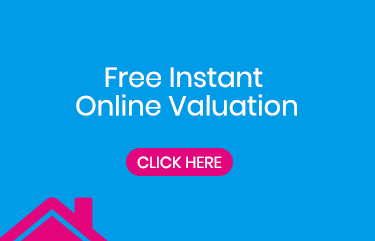 Properties are priced in line with the most up to date market value, therefore ensure that you put your best offer forward, this will increase your chances of it being accepted. It’s not uncommon to be outbid if you offer under the asking price. If your initial offer is not accepted, you may need to increase your offer and, in some instances, revise any requests you have made. If you have any special requests in relation to the property, discuss this with your agent early on as failure to do this could jeopardise your offer if you wait until further down the line. Also, it is important to request them sooner rather than later because they will need to be included in the tenancy agreement and will form part of your initial offer. Remember not to overload your requests as this could deter your landlord. Referencing checks will need to be carried out to assess your overall suitability to enter into a tenancy. This will also will look at your rent to salary ratio (combined, tenants must have annual earnings of at least 30 x monthly rent). It is essential that you are always honest on the referencing forms and if you do have any adverse credit history, it is always advisable to declare it when you first put forward your offer. Should you fail any references because you have adverse credit, and you have not advised the agent, then you could forfeit your holding deposit. If your credit history or your employment status is not straightforward, you could be asked to pay additional rent in advance of as much as six months, or provide additional references and/or have a UK based guarantor. You will be required to pay a holding deposit, usually £500, to secure the property. Once this has been paid, the agent will stop marketing that property and nobody else will view it. As part of recent legislation introduced in 2016, ‘the immigration act 2014’, the agent will have to check that prospective tenants have the right to be in the UK. This will involve providing proof of your identity, which will include photographic ID, therefore be prepared to provide them with a copy of your passport as well as any relevant UK visa’s. You will be required to remain in the property for a minimum period of time, which is usually 6 months. You should note that at any time you are looking to vacate, you will need to provide the landlord /agent with the correct period of notice which should ideally be sent to the landlord/agent by recorded or registered post. The landlord can also exercise the right to serve you with notice inline with the break clause in the tenancy agreement, usually from 6 months. Should the landlord wish to, they will do it in a specific fashion as governed by the housing act. If you have any queries regarding notice periods it is best to check and ask the landlord/agent. Prior to the end of your tenancy, usually around 3 months before it ends, your agent should write to you regarding the renewal of your tenancy agreement. This will generally continue as either a new tenancy agreement or a periodic tenancy. If a tenancy is extended on this basis, it is done so without the need of issuing a new tenancy agreement. On a periodic tenancy, if you wanted to leave the property you would need to give one months' notice at a rent due date i.e. if you paid your monthly rent on the 10th of every month, you would need to provide the months’ notice by the 10th of any said month to vacate the 9th of the following month. If you paid your rent on the 10th and gave your months’ notice on the 15th of the month, then your notice would not be effective until the 10th of the following month. A different type of tenancy applies if the annual rental figure on the property is £100,000 or higher. Your agent will be able to advise you in more detail if this is applicable to your circumstances. Remember a tenancy agreement is a legally binding contract, therefore, it is vital that you have read your contract thoroughly before signing it. Should you be unsure of anything, ask the agent. If you are still a little unsure it may be worthwhile to seek some legal advice through a solicitor or Citizens Advice Bureau. The tenancy paperwork process may take a little time, as you, all other tenants, and the landlord need to sign. There are several things for the agent and landlord to organise before the move-in day which will include meeting the legislative requirements in order to let a property. In order to speed up the referencing process, it is advisable for you to notify the people who will be contacted by the reference company. If your circumstances are unusual, be prepared to provide additional financial information if requested by the referencing company or the landlord. Nothing is absolute until both parties have signed the agreement. The completion of tenancy is dependent on the signed tenancy agreement, the references being acceptable to the landlord and cleared funds received by the agent prior to the move-in day. A typical security deposit is usually one and a half times the monthly rent. For example, if the monthly rent is £1000pcm, the deposit will be £1500. In most instances, the agent will usually hold the deposit which will need to be registered with an appropriate deposit protection scheme approved by the Government. Cavender use My Deposits to register their deposits. Your deposit is then held in an insured bank account and is released at the end of the tenancy, minus any agreed deductions for any damage. It is worth remembering that a deposit is NOT to be used for rent, it is in place for any dilapidations to the property. Should you leave the property in the same condition as it was noted on your inventory report at the start of tenancy, and there are no rent arrears or outstanding utility bills, then your deposit should be returned to you in full. Usually there is no interest paid on the deposit. In the eyes of the law this money still belongs to you so you will have to agree to any deductions that the landlord wishes to make at the end of the tenancy. If you feel that deductions are being made unfairly, you have the option to contact the company that protects your deposit for information on how to raise a dispute. For the most up to date information on Tenancy Deposit Schemes it is worth visiting the Direct Gov website. The keys will be released once the references are satisfactory, your initial rent, security deposit and other administration charges have cleared, and you have signed your tenancy agreement. Keys will be given to you by your agent or the check in clerk if you are meeting them at the property. It is very rare for the property to not be in the condition that you expect it to be, however it is worth remembering, that you’re not moving into a hotel. Some things may not be perfect straight away but give yourself a little time to settle in and then report the issues to your agent or landlord. Your agent will advise you whether or not they will be managing your property or if it is to be your landlord. If it is your agent, your point of contact throughout your tenancy will be the property management department. They will deal with all aspects of your tenancy, including maintenance repairs and renewals. As you approach your tenancy start date, you need to remember to either set up your new utility bill accounts, and any other service that you require such as the telephone line, broadband, parking permit and contents insurance. Cavender will help you organise this and you may be contacted by Tenant Shop to discuss what package suits your requirements. Even if you are a student and not eligible to pay council tax, you should still contact the local authority with your move in date and make them aware of this. They may ask for proof of this. It is worth asking the agent if there are parking bays with restrictions outside the property, as if you are using removal vans, you may want to ask the council to suspend them temporarily. Cavender will send you a standing order mandate for your rental payments, which you will then need to complete and post on to your bank. It is your responsibility to check that this has been received and actioned by your bank. In most instances it is likely that you will meet a check in clerk at the property who will check you in. Most agents will use a third-party inventory company to carry this out, as they will be impartial to all parties concerned. The Inventory Check-In is a comprehensive and detailed report of the state and condition of the property, which will include dated and timed photographs. It will also list everything that is in the property. Where possible the clerk, will also make a note of the relevant meter readings, you will need to provide your utility provider with this information as soon as possible. Normally an agent will send you a copy of this report within 10 days of moving in and you must check it is correct, if you feel that there should be any amendments, notify the agent within the time frame they have specified, so they can deal with them as soon as possible. The property report will be vital in any future deposit discussions so make sure you are happy with the information that is recorded. If you are unable to attend the check in appointment, this will be carried out in your absence and you can collect the keys at a later time from the agency. Be aware of your responsibilities as a tenant and report any issues you have or if there is a maintenance problem in the property, to the landlord or to the agent if they are managing it. Remember, whilst a leaking pipe may seem like a minor issue, if left to leak it could cause a ceiling to collapse? If this were to happen, this could be seen as your responsibility if you knowingly failed to report the leak. Make sure that your rent is always paid on time. If for any reason you are ever unable to pay your rent or will need to pay late, let your agent/landlord know as soon as you can. Some agents may charge a late payment fee, for repeated late rent payments. It is always best to make sure that your rent is paid by the standing order set up at the start of the tenancy as this will ensure the rent is always on time and will protect you from having a bad payment history. Remember that you are also governed by the obligations in the head lease of the property if the property is leasehold which is very common. You also need to be aware of any special conditions such as your activities or level of noise permitted in the premises. Be respectful of your neighbours, so try to avoid making loud noise, and ensure that rubbish is put in its correct place and try not to obstruct any common areas. You must make your landlord aware if you are going to be away for longer than 14 days, as this may affect the landlord’s buildings insurance policy. Ensure that the property is locked adequately at all times when you are out. If the property has a working alarm system, we advise you use it. Basic maintenance issues such as replacing light bulbs and batteries in smoke alarms are your responsibility. If you are in doubt as to what is your responsibility contact either the agent or the landlord, they will be able to guide you. If you wish to vacate the property prior to the expiration of your tenancy agreement, you will need to contact your agent; they will be able to confirm if your tenancy is at a point whereby your notice can be served. You should also be aware that you still need to provide the requested amount of notice as specified in your tenancy agreement, even if you are looking to leave at expiration of your tenancy agreement. Once notice has been served, the property will then be put on the market again by the agent, so you should be prepared for viewings from prospective tenants to take place during the notice period. During this time, please ensure that the property is presentable and allow the agent to conduct the viewings. You will always be given notice of any viewings and remember that all viewings will be accompanied. Generally, your agent will handle the check-out including the returning of the keys. They will also arrange the release of the deposit minus any agreed deductions for repairs which will directly depend on the condition the property is left in. We hope that this guide has been informative and useful and wish you the best in the search for your new home.